Seasoned 24 year old model, Ivy Clark, faces the harsh reality of the fashion industry as she is pushed aside for younger, upcoming models. With her broken past and cold interior, the rejection she faces is almost too much for her. 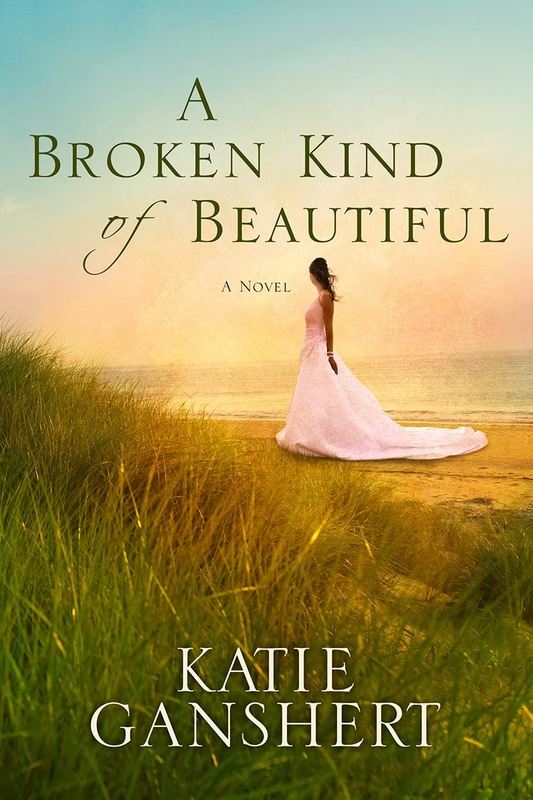 It is when she is forced into a “lesser” gig as the face of her Stepmother’s bridal shop that she encounters the unusual kindness and respect of photographer, Davis Knight, who is struggling with some identity issues of his own. Written from the diverse yet parallel perspectives of Ivy, Davis, and the stepmother, Marilyn, this novel captures the struggle and beauty of discovering and trusting ones identity and destiny within God’s purposes. I related in some way or another to each character, and was entranced with the underlying thematic messages of grace, forgiveness, regaining innocence, abandoning pride and shame, and embracing love. This is a “romance,” but not the kind where the characters fall all over each other. Rather, Ganshert gracefully reveals the distinction between love and lust; and the heroine learns to receive not just the love of a suitor, but the love of family, of friends, and of God. And–yes–there is chemistry between the “love birds” as well! It just is not the primary focus. This is not specifically young adult fiction, but is one I think young women and teens will really relate to and enjoy. The characters run deep without the writing being too intense, and the positive themes are ensconced fluidly and unobtrusively within the story. This is excellent “airplane fiction”–I would loosely recommend it to those who want something very light and plot-oriented to enjoy quickly without lingering thought. Otherwise, it lacks the depth, character development, suspense, and quality that could have been possible within the solid structure of the action-packed plot. John Luther is a preacher, made fugitive, who is trying to prove his innocence after being set up by a political superpower who wants to manipulate Luther’s vast ministry audience into accepting a “Faith and Fairness” bill that is in the works. A parallel back-story of John’s pre-Christian past adds a bit of depth to his personality–but not enough to illustrate a dynamic and evolving character presence. I actually do think the issues presented in the narrative are relevant. The line between tolerance and faith is constantly in current political and religious debate. I just did not find the conflict to be presented with enough clarity, focus, or depth to create the emotional connection or urgency necessary to drive the story or exude suspense. 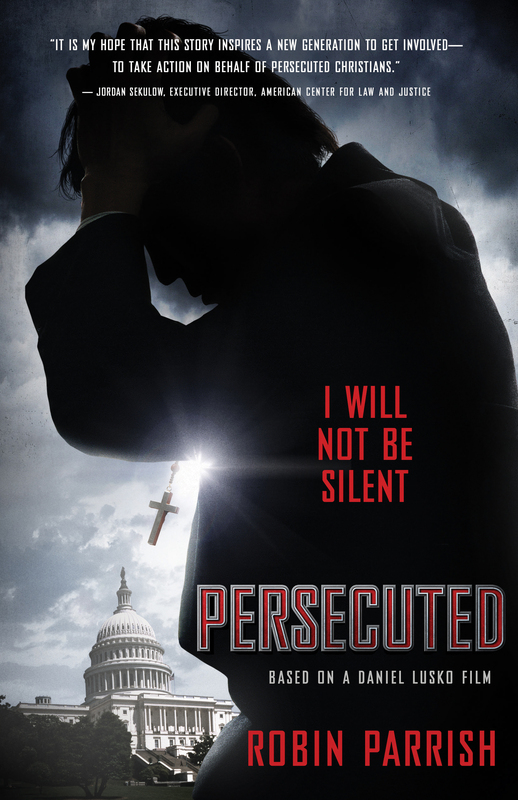 Likewise, the subject of persecution is not presented as clearly as it should have been, especially given the title. On the other hand, the concluding list of follow-up questions is valuable, and could be poignant to a Christian study group or Bible study. Maybe a teenage audience would even enjoy the novel as a whole? Interestingly, the book is framed after a film; so the movie version (coming soon) may actually supersede the writing. Wealthy and charming amateur detective Drew Farthering finds himself caught up in the case of a serial killer, beginning when his own solicitor is murdered just before his scheduled appointment. Each murdered body is decorated with a hatpin and cryptic note, which is baffling to the police, but an intriguing challenge for Drew and his friends. 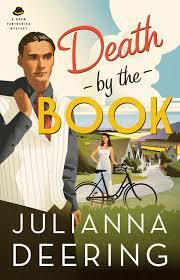 Meanwhile, he tries to woo his American girlfriend to marry him–and her difficult aunt to also embrace his affections. The execution of the story, however, was flat. Suspense was lacking. The romance was lacking. I could not find an emotional connection with either the alive or murdered characters. The mystery was too dependent on what I felt to be obscure literary references (except maybe to those who eat and breathe Shakespeare). Essentially, there was nothing within the writing to tie me to the narrative. The story was largely information-based, and this is not enough in my opinion. I simply did not enjoy reading it. I think this author and this mystery series has promise overall, but the elements of this particular book did not come together for me. France; 1941. 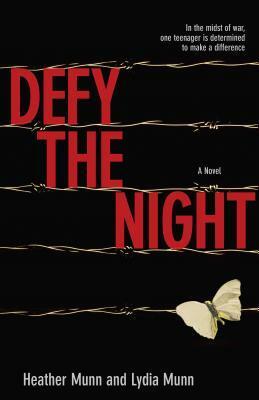 Fifteen year old Magali is living in the “free” zone of Southern France under Vichy rule, and is naive to the dangers and seriousness of the war around her, even though the worst is yet to come. When she is given the opportunity to help rescue children from internment camps and into charity homes through a Protestant refugee organization, she jumps at the chance to be a hero; but her pride and immaturity become a risk to those around her. Magali must learn to become secure and humble in her own calling, to put love first, and not to neglect the value of her friends and associates. This is an excellently written story filled with depth and well-researched history. The characters are vibrant, and their emotional journeys are raw and honest. Magali, especially, has so much heart and passion, which is often misdirected and careless–but it is a joy to also watch her “come to age” through her mistakes and experiences. As I read her story, I couldn’t help but remember some of my own immature moments, and to praise God for guiding me through them. This is the sort of book I would love my children to read as part of our homeschool curriculum when they reach their teens. It is not only an enjoyable story, but one which is informative, based on true accounts, and which provides the perfect backdrop for teaching and dialog about the progression of WWII, and the Christian responsibility for dealing appropriately with difficult and unjust circumstances. Defy the Night is also part of a series, but each book is independent, despite some overlap in characters. The first book, How Huge the Night, is the coming of age story of Magali’s older brother Julien, and takes place in the first years of the war. The authors also have plans for a third book, which will likely include even more action as the war itself intensifies!